Google is on a crusade against search bars. Or so it seems to us at least. 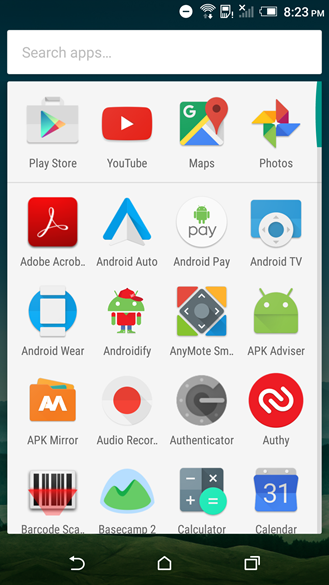 Late last year, the Play Store received an interface revamp that dumped the green search bar in favor of an overlaid grey bar with a hamburger menu, a voice search icon, and the words Google Play in grey that disappeared as soon as you started typing. Then a few days ago, it changed Play Books' search bar to a look that sits somewhere in the middle, with the blue bar switching into the grey one when you tapped to search. Now it's Play Music's turn. This is certainly a week for updates. Between the latest dev preview for Android N, the rest of the April security updates, and a decent stack of apps from Google, things have been really busy. Play Books joins the lineup, bringing with it a number of visual and functional changes. Of course there is a new icon to join the rebranding effort, but it also includes some updates to the search bar, the reading experience, and more. As always, we've got a link to the download at the bottom. Many thanks to the Play Books team for providing a very thorough changelog! 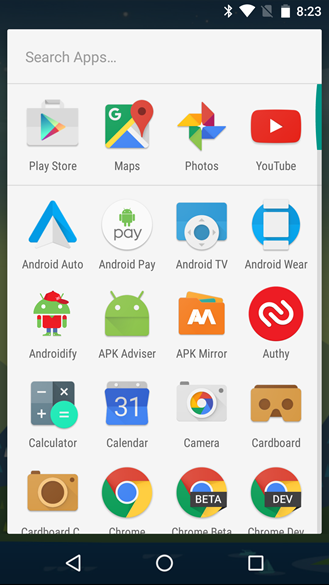 The most visually distinct modification was made to the app drawer.